This home in Dakota Station has vaulted ceilings, hardwood floors, skylights, central A/C, ceiling fans, a fenced yard, 2 car attached garage and much more! The kitchen/dining area has built-ins and opens out directly onto a covered sun room and outdoor entertaining area. 2 bedrooms are on the upper level and the master bedroom and in-suite bathroom are on the garden level. 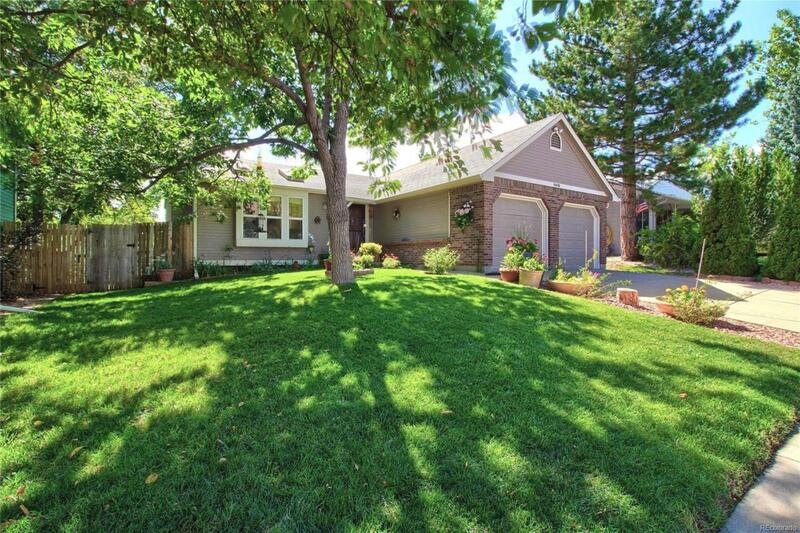 The quiet neighborhood is only minutes to shopping, dining, parks, community centers and C-470 & Kipling for a fast commute.